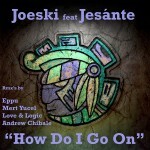 Joeski and Jesante return following the success of “Been A While” and deliver a beautiful, deep house vocal. Strong drums, deep latin bass line, melodic chords, enchanting vocal, big strings…..strong release from the duo. On the first remix, Spains Eppu delivers a peak time, tech house banger. Keep your eye out for him…. No stranger to Maya Records, Istanbul’s Mert Yucel delivers a deep, trippy, tech house rendition. New York’s dynamic duo Love & Logic deliver a more jackin’ house vibe to the mix. Last, but not least, Miami’s Andre Chibale take is a more uplifting, electronic vibe. Keep up-to-date on MMG. Along with aired music on TV, the producers and talent at MONOMENTAL are hard at work in the music industry, in the clubs, as well as in multimedia, the fashion industry and sonic software design. Here’s where you’ll find news on upcoming projects we’re working on and get a behind-the-scenes look at MONOMENTAL MUSIC GROUP.